A ground-breaking study concludes that Premier League health scheme is as effective as a Wayne Rooney header in altering men’s high risk-taking behaviour. 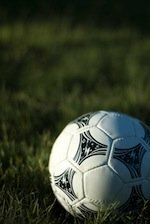 One of the largest ever academic studies of men’s health in England has found that Premier League football clubs can have a powerful effect in changing the health of men, especially those regarded as hard-to-reach and whose lifestyle choices are leading to a substantial burden on NHS services. The three-year Premier League Health initiative at 16 professional football clubs engages over 10,000 men. The research found that over 70% of them made positive health changes as a result and that football clubs can play an important role in addressing key areas of men’s health such as weight gain and alcohol consumption. The Men's Health Forum helped establish the unique £1.63m three-year programme, the first national men’s health promotion initiative delivered by Premier League football clubs. The joint report by the Centre for Men’s Health and Centre for Active Lifestyles at Leeds Metropolitan University explored the power of professional football clubs to influence the health of men and found that all told three-quarters of men made positive health changes. through participating in Premier League Health. Alan's previous research has found that harmful lifestyle behaviours and poor socio-economic circumstances contribute to European men of working age having a 64% higher death rate than women. However, efforts to influence men’s ill-health are challenging and activities delivered through traditional channels often have limited effectiveness. It was this opportunity that Premier League Health explored. Simon Morgan, Head of Community Development at the Premier League, said: 'The Premier League is the most watched and supported football league in the world and it plays an important role in embracing the local communities which are at the heart of our clubs. It’s about delivering social intervention programmes that make a positive difference to those people, and Premier League Health has done that with 10,000 men.